Buy a $5 membership card in venue or online to play, if you don’t have one already. You’ll use this card every time you play Topgolf as it tells our golf balls who scored. Plus, it gives you access to exclusive offers throughout the year. Check out our full list of memberships for benefits such as unlimited play! Add money to your membership card based on how long you/your group want to rent a bay (one-hour minimum). You can always add more time at your bay. Head to your bay, swipe each player's membership card and play. Oh, and eat, drink, laugh and have a ball! 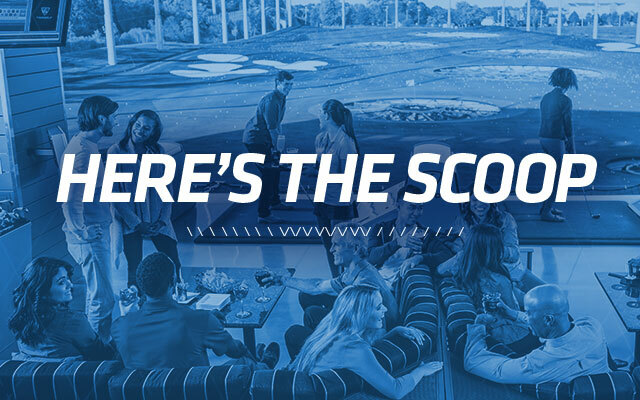 Share your experience on social media with #Topgolf, and get featured on our social wall. You can now reserve your very own bay online for Topgolf Orlando. This simple process allows you to play when you want, with whoever you want. Bays will of course still be available for walk-in Guests, and we're always happy to help you book a party for larger groups.